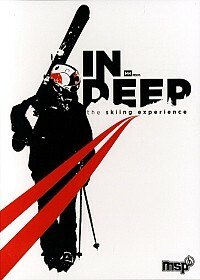 For 2009, MSP Films takes an original look at the sport of skiing. All of the skiers in the film—park rat or big mountain charger—share a common bond: the overwhelming desires to ski. Each person finds stoke in his own unique way, whether it be a double cork 1260, a deep turn on a storm day or ripping a giant AK line. Skiing is an incredibly diverse sport that offers it all. With the progressive skiing and award-winning cinematography that has made MSP famous, MSP Films takes you along for the ride deep into the experience as we share the love for the greatest sport in the world. DJ Shadow Stem/Long Stem/Transmission 2 Endtroducing?